JI022 is one of the more interesting projects that I have taken on. Jared messaged me on instagram with a request for a 5 string tenor uke. 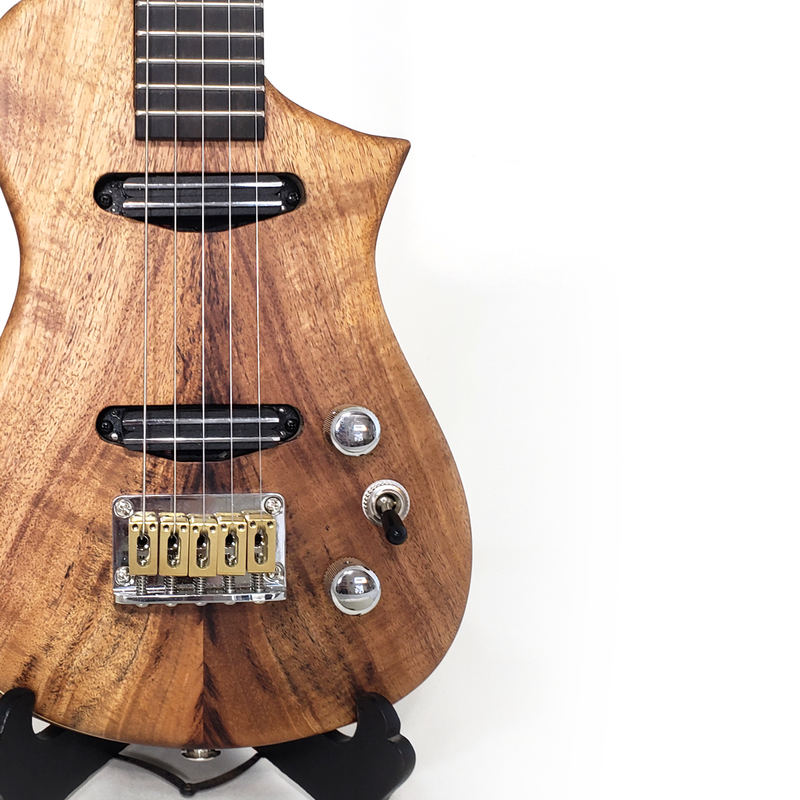 There are five string ukes out in the world, but typically they have unison pair for the bottom string (Gg C E A), making them play essentially like a 4 string uke. What Jared wanted was a true 5 string. 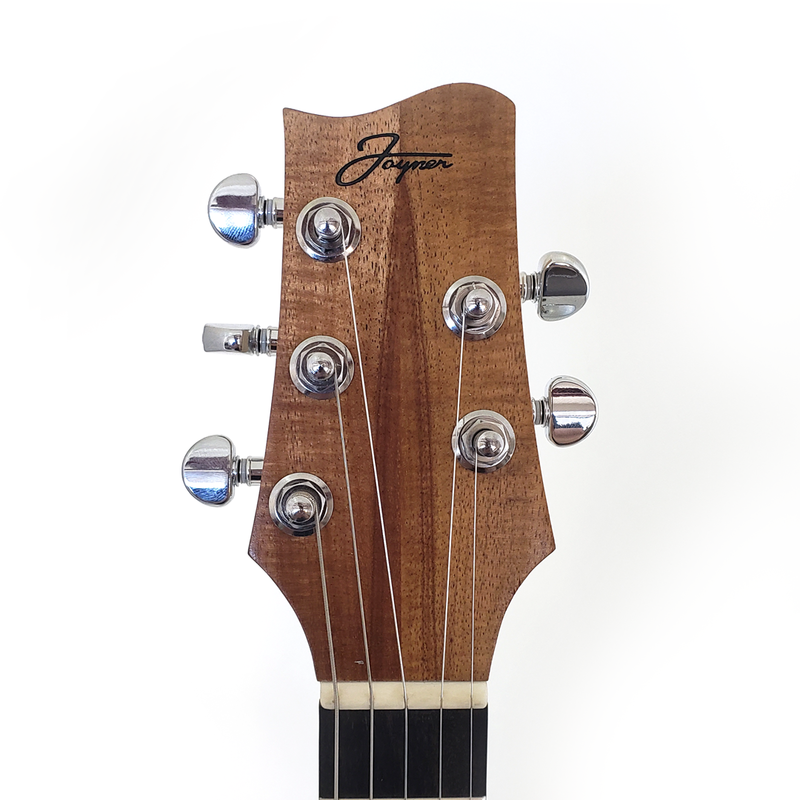 A tenor scale uke with the range of a a baritone (D G C E A). 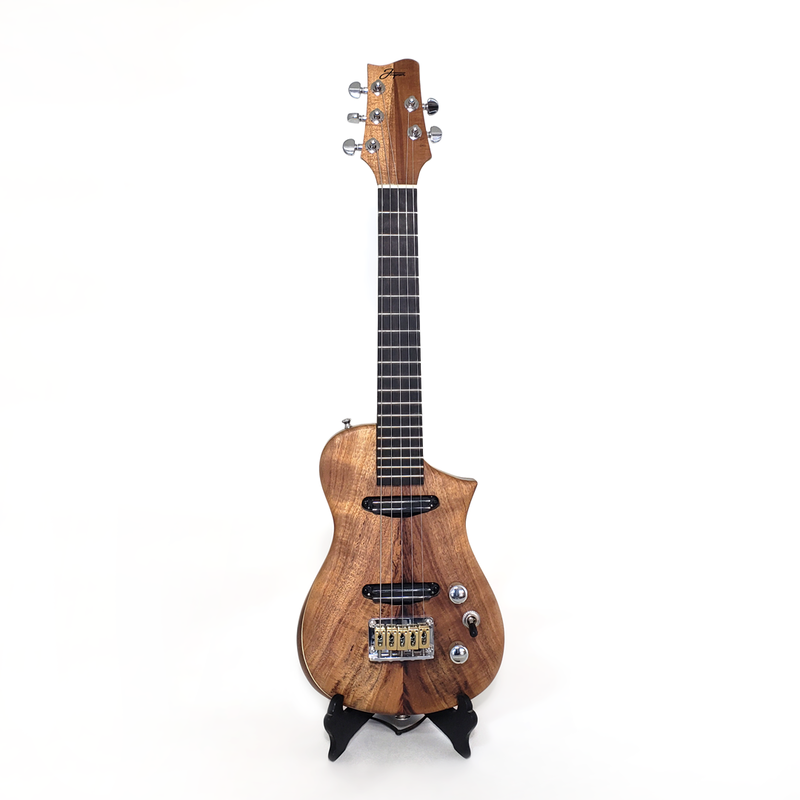 A “baritenor” uke. When he asked if I was up for the challenge it didn’t take a whole lot of thinking from my end. 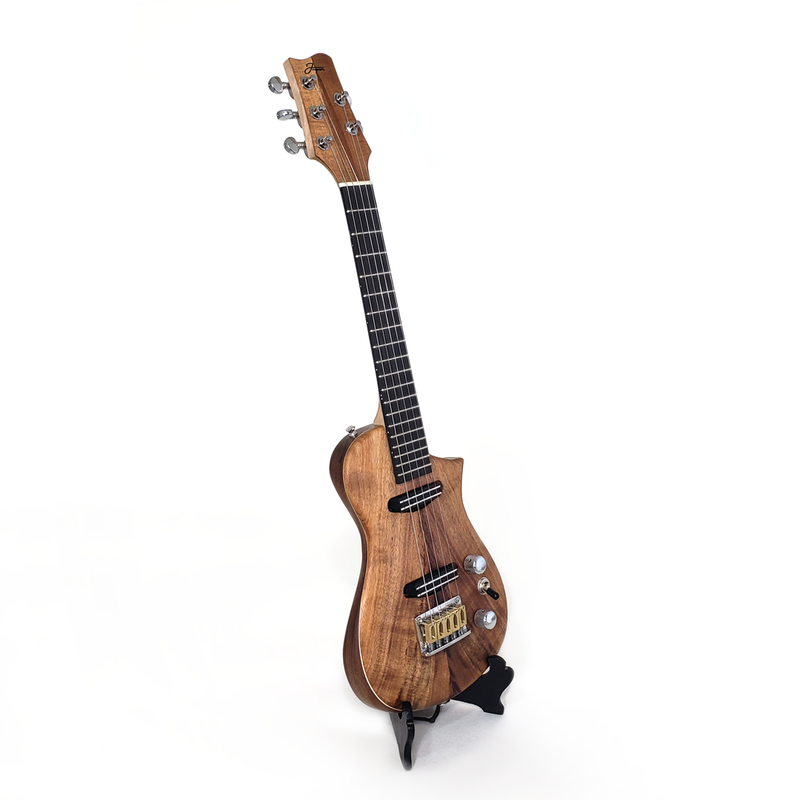 Part of my design philosophy is a commitment to innovation, thats why I build electric ukes in the first place, so adding a string, increasing the range, and doing something that I am unaware of seeing elsewhere felt like a natural fit. Jared and I chatted for a quite a while before getting started and realized that we have a lot of the same taste in music. We are both grateful dead fans and love the clean melodic solos of Jerry Garcia. I love it when I can connect with a customer beyond the specs of an instrument and into a more personal relationship. Once I had a good feeling for what Jared wanted out of this instrument it was time to get started. One of the bigger hurdles of this project was sourcing hardware. 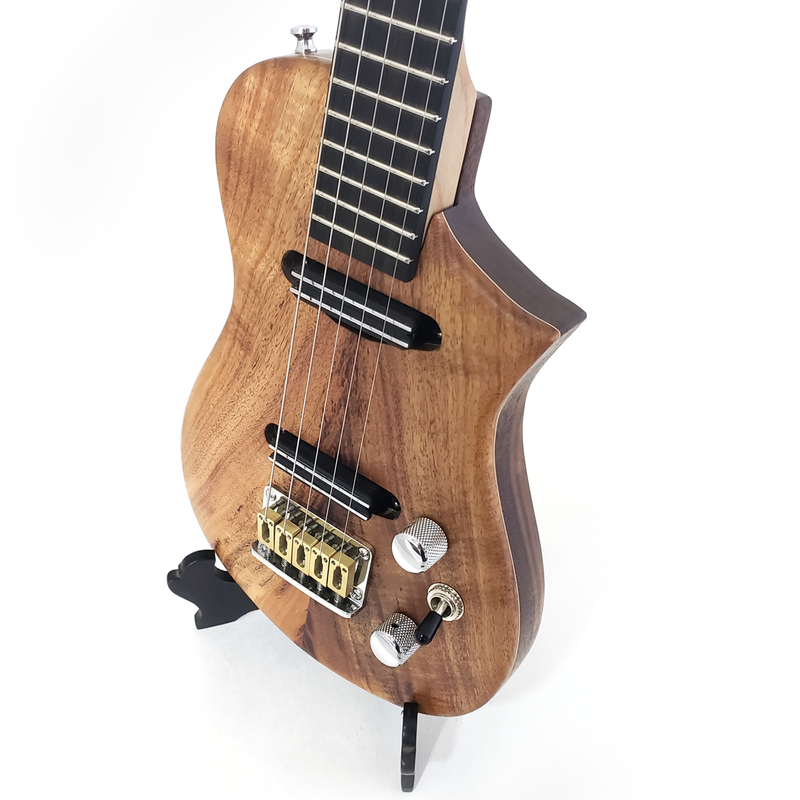 We decided to go with hot rail pickups so that they would look natural under 5 strings, and after some searching I was able to find a 5 string bridge that would fit our needs. Jared selected a nice koa top that I picked up on my last trip to Hawaii and we paired it with a special walnut back that I had been holding on to for a while. For an accent we went with a nice stripe of holly to really make the layers pop. 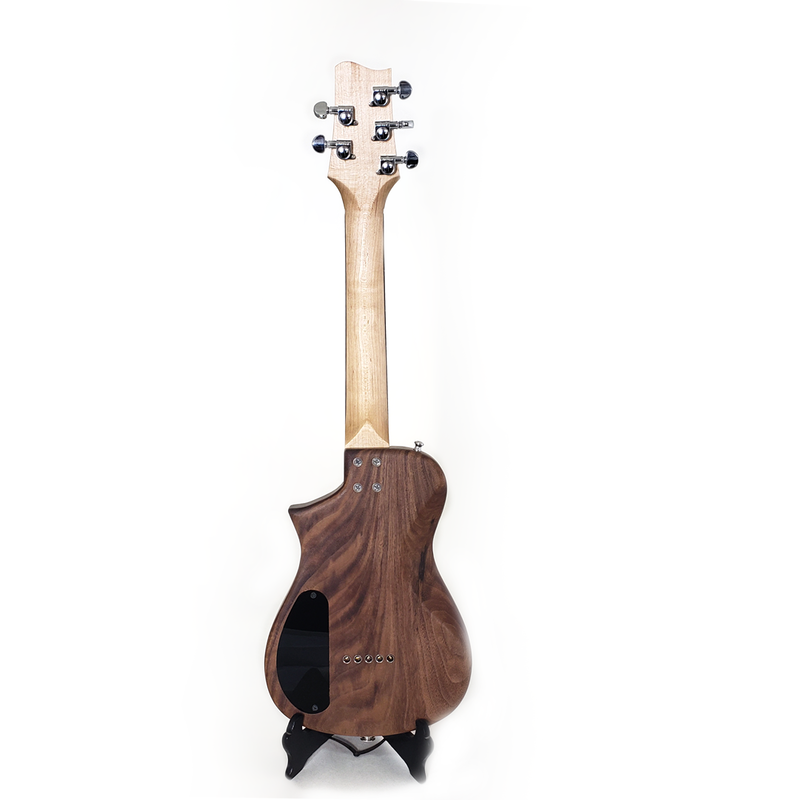 I made a custom wide neck to accommodate along with a modified headstock that would fit 5 tuners out of maple and ebony. I finished it all off with a bookmatched headstock veneer out of the same koa as the body, tying the lines of the uke together. 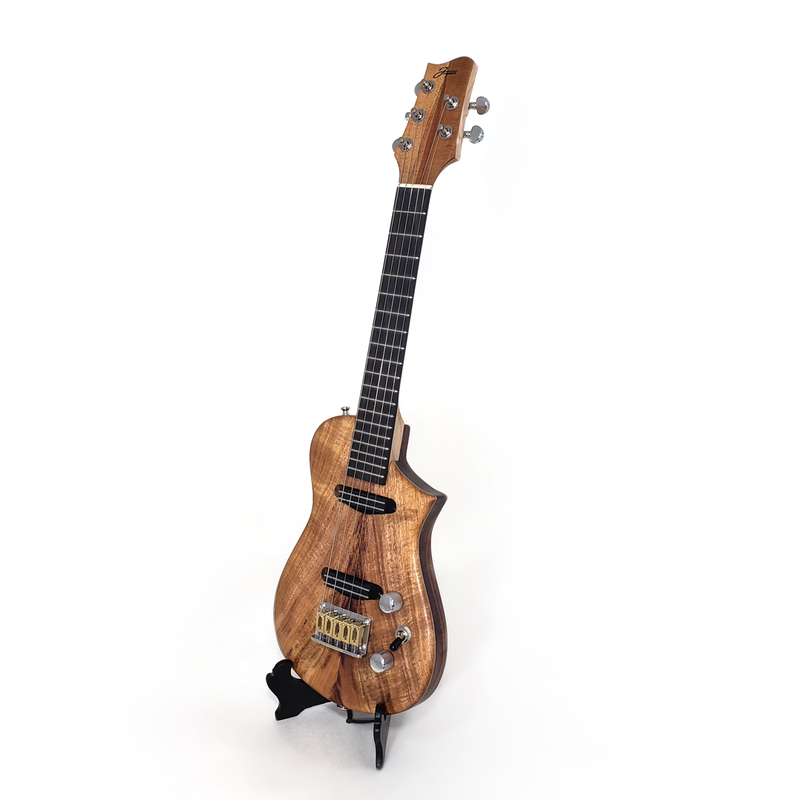 The thing that really impressed me was not the heart-wrenching beauty of this one-in-the-world instrument, or the many hours of hard work Adam visibly devoted to this wood, or even the ingenuity behind the devilishly difficult design decisions made in crafting this never before done style of ukulele, no, what really set Adam over the edge for me was the sheer number of times he went out of his way to go above and beyond, and ensure that he delivered the best possible product to his end user. And what a product it is!!! The things frikin sick, shreds with the best of em and never fails to get a Wait WTF Is That!? !